Resource Room: Math: Why Can't Students Get the Concept Of Math? Why Can't Students Get the Concept of Math? by Julie L. Booth Reprinted with permission from the International Dyslexia Association’s Perspectives on Language and Literacy quarterly from Spring 2011. It’s worth joining IDA just for these. Though there are a number of reasons why students may have difficulty in mathematics at different points in development, one concern that can affect the learning of all students (regardless of whether they have a mathematics learning disability, or MLD) is a lack of conceptual understanding. The National Council of Teachers of Mathematics (2000) stresses the impor­tance of conceptual understanding for learning in math and recommends alignment of facts and procedures with concepts to improve student learning. More recently, the National Mathematics Advisory Panel (2008) recommended helping students master both concepts and skills and maintained that preparation for algebra requires simultaneous development of conceptual understanding and computational fluency, as well as cultivation of students' skill at solving problems. As an indi­cator of the level of emphasis placed on conceptual under­standing, the final report of the National Mathematics Advisory Panel (2008) uses the words "concept" or "conceptual" 87 times in 120 pages; in comparison, the word "procedure" or "procedural" is used fewer than 40 times. procedure is appropriate for that task. Thus, there is consistent recommendation that teachers focus on concepts in mathematics. But what does it mean to focus on concepts, and how can this be done in a way that develops students' conceptual understanding without sacrific­ing attention to required procedural skills? To accomplish this goal, teachers must first understand what conceptual and pro­cedural knowledge are, how these forms of knowledge differ from each other, and the relations among the two types of knowledge. The following sections focus on the domain of algebra, discussing the definitions of conceptual and proce­dural knowledge, describing some of the particular conceptual difficulties students tend to have and how these difficulties affect performance and learning, and presenting empirically-based solutions for how to effectively address the issues of conceptual understanding in real-world classroom settings. Conceptual knowledge has been defined as "an integrated and functional grasp of mathematical ideas" (National Research Council, 2001, p. 118). Consistent with this and other research on learning in mathematics, conceptual knowledge can be viewed as recognizing and understanding the important principles or features of a domain as well as interrelations or connections between different pieces of knowledge in the domain (Hiebert & Wearne, 1996). In contrast, procedural knowledge is the ability to carry out a series of actions to solve a problem (Rittle-lohnson, Siegler, & Alibali, 2001). In short, procedural knowledge can be operationally defined as how to do something, and conceptual knowledge as an understanding of what features in the task mean; conceptual knowledge of those features collectively allows one to understand why the procedure is appropriate for that task. Though conceptual and procedural knowledge are often discussed as distinct entities, they do not develop independently in mathematics and, in fact, lie on a continuum, which often makes them hard to distinguish (Star, 2005). This may be especially difficult in algebra, where many new procedures are taught over the course of the year (e.g., solving equations, factoring, graphing lines, etc.). Given the nature of the content in algebra courses, items designed to measure conceptual knowledge may have elements that resemble procedural tasks. However, the information extracted about students' knowledge is not about their ability to carry out procedures. For example, one could give students the graph of a line and ask them to find the slope (procedural knowledge), or one could give students the same graph and ask them how the slope would change if the x and y intercepts were reversed (conceptual knowledge). Similarly, one could provide a pair of fractions and ask students to add them (procedural knowledge), or one could ask students to compare the sizes of the fractions and think about what would happen if the numerators and denominators were reversed (conceptual). Furthermore, one could show stu­dents an algebraic equation and ask them to solve it (proce­dural knowledge), or one could ask whether that equation is equivalent (or has the same solution set) to another equation (conceptual knowledge). Thus, even with the same stimulus for a problem, one can acquire very different types of informa­tion about what students know by the way that one asks the students to think about the problem. For the past few decades, researchers in the fields of cognitive development and mathematics education have maintained that students beginning algebra do not fully understand important concepts that teachers may expect them to have mastered from their elementary math and pre-algebra courses. Within the domain of equation solving alone, a number of concerning misconceptions have been identified, including that students believe that the equals sign is an indicator of operations to be performed (Baroody & Ginsburg, 1983), that negative signs represent only the subtraction operation and do not modify terms (Vlassis, 2004), that subtraction is com­mutative (Warren, 2003), and that variables cannot take on multiple values (Knuth, Stephens, McNeil, & Alibali, 2006). (See Figure 1 for examples of student misconceptions.) Unfortunately, for many students, these misconceptions persist even after traditional classroom instruction on the relevant topic (Booth, Koedinger, & Siegler, 2007). How do these strange conceptions develop, and why are they so persistent? One reason is that students who are strug­gling in a domain may not see lessons in that content area the way the teacher intends (Wenger, 1987). In a recent study, beginning algebra students (12-14 years old) were given a reconstruction task to assess their encoding of presented equa­tions (Booth & Davenport, in preparation). In this task, indi­vidual equations were presented on a computer screen for 6 seconds. After an equation disappeared, students were asked to reconstruct it on paper, and responses were coded for the number and types of mistakes that students made in their reconstruction. Results showed that students who have poor conceptual knowledge encode presented equations less effec­tively than their high-knowledge peers. Further, students with misconceptions about specific features were most likely to make errors on those features. For example, consider the equa­tion 4x = 9 + 7x - 6. Students who do not think that negative signs are attached to the terms they modify often make errors such as displacing a negative sign (4x = 9 - 7x + 6) or deleting the negative sign (4x = 9 + 7x + 6); students who hold miscon­ceptions about the equals sign make errors such as moving the equals sign (4x + 9 + 7x = 6) or inserting an additional equals sign (4x = 9 = 7x + 6). Another reason is that these misconceptions may have been ingrained in students due to particularities in the nature of their arithmetic instruction (Baroody & Ginsburg, 1983). For example, the misconception that the equals sign indicates where Ihe answer goes is likely due, at least in part, to the way math facts and early addition problems are presented by teachers and in textbooks. Such problems are often presented vertically, with one number on top of the other, and then a solid line between the addends and the answer. When students are given horizontally presented problems, they are typically in a format such as 4 + 5 = 9, with numbers and operations appearing to the left side of the equals sign, and the answer (or a blank space for the answer) on the right side; students are rarely, if ever, exposed to other formats such as 9 = 4 + 5 (Seo & Ginsburg, 2003). McNeil (2008) found that even having students practice simple arithmetic problems in the typical format (4 + 5 = 9) as opposed to non-standard presentations (28 = 28) increased failure at mathematical equivalence problems (e.g., 3 + 5 + 6 =___ + 6). Just imagine how much exposure to misleading problem formats students have gotten before they reach their Algebra 1 class, and how that might prompt them to approach algebraic equations! As you might predict, these types of misconceptions are detrimental to students' performance on equation-solving tasks; students who hold misconceptions about critical features in algebraic equations solve fewer problems correctly (Booth & Koedinger, 2008). Even more interesting, these misconceptions are associated with the use of particular, related, but incorrect strategies when students attempt to solve problems. For example, students who do not think of negative signs as connected in any way to the subsequent numerical term often delete or move negatives within equations or subtract a term from both sides of the equation to eliminate the term even when the value in question is already negative; similarly, students who do not think of the equals sign as an indicator of balance between the terms on either side often delete or move the equals sign, or perform operations to only one side of the equation (Booth & Koedinger, 2008). More crucially, such misconceptions also hinder students' learning of new material. Students who begin an equation-solving lesson with misconceptions learn less from a typical algebra lesson than students with more sound conceptual knowledge (Booth & Koedinger, 2008). Why might this be the case?One reason is highly related to abundant research in science education which demonstrates the importance of engaging and correcting students' preconceptions about scien­tific topics before presenting new information (Brown, 1992). If these preconceptions are not engaged, teachers are just attempting to pile more information on top of a flawed founda­tion built on persistent misconceptions. In this case, students will not achieve full comprehension of the new material (Kendeou & van den Broek, 2005); rather, they may reject the new information that does not fit with their prior conception or try in vain to integrate the new information into their flawed or immature conceptions, resulting in a confused understanding of the content (Linn & Eylon, 2006). Further, recall that strug­gling students may not correctly encode the features of the equations they are presented by their teacher and their textbook (e.g., Booth & Davenport, in preparation). How can students be expected to learn what the teacher intends if they are not correctly viewing, let alone interpreting, the instructional materials? 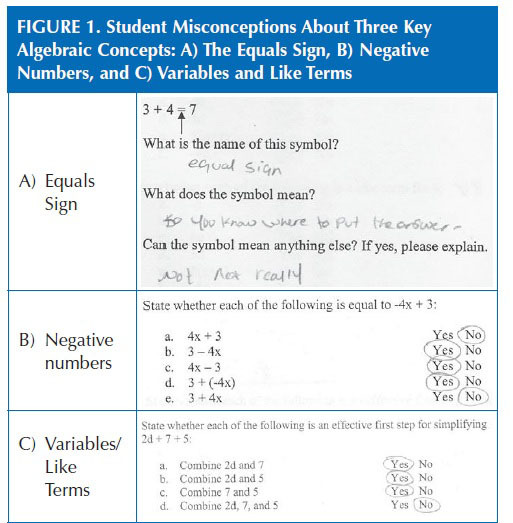 Eliminating student misconceptions should be a critical goal for successful mathematics instruction, as discussed fur­ther by Dr. Murphy and her colleagues elsewhere in this issue. It is clear that reduction of misconceptions could have a great impact on student learning in mathematics, potentially allowing students to perform at a grade-appropriate level. However, eliminating misconceptions only takes students halfway toward the instructional goal of cultivating strong con­ceptual understanding. Research in a wide variety of domains has identified a number of advantages of strong conceptual understanding, including having an easier time recalling new information (Chi, 1978), better categorization of new information (Chi, Feltovich, & Glaser, 1981), improved use and acquisition of problem-solving strategies (Gaultney, 1995), improved reason­ing skills when interpreting new information (Gobbo & Chi, 1986), and a greater likelihood of inferring information that was not explicitly present in the instruction (Chi, Hutchinson, & Robin, 1989). These advantages have been attributed to more focused attention to goal-relevant features when representing and solving problems (Chi et al., 1981), quick encoding of information which is easily stored in and retrieved from long-term memory (Ericsson & Kintsch, 1995), and constraints on ranges of possible responses, leading to greater endorsement of reasonable incorrect responses rather than unreasonable ones (Ornstein, Merritt, Baker-Ward, Furtado, Gordon, & Principe, 1998). In other words, students with strong conceptual knowl­edge about a topic are likely to continue to learn more because their prior knowledge makes it easier for them to process and use new information related to that topic. Though not all of these advantages have been investigated within the domain of mathematics, there is evidence that strong conceptual understanding of mathematics concepts leads to greater learning in mathematics. For example, Griffin, Case, and Siegler (1994) found that providing low-income children with a strong knowledge base of mathematical fundamentals helped those children lo learn early arithmetic; students with a stronger understanding of numerical systems are also able to learn more about arithmetic (Case & Okamoto, 1996). Similarly, stronger pretest conceptual knowledge in algebra predicted students' learning to solve algebraic equations, above and beyond that predicted by more general math achievement (Booth & Koedinger, 2008). More research may be necessary to investigate the prevalence and nature of such advantages in math; however, it stands to reason that to give our students the besl possible chance of success in mathematics, we must both eliminate student misconceptions and fill those gaps with a strong foundation in mathematical concepts. What is being suggested may seem like a tall order: Teachers need to target misconceptions and build up students' concep­tual knowledge, all while still providing students with enough instruction and practice on the wealth of procedural skills that are required components of the course and that will likely be targeted in standardized tests. With a limited amount of pre­cious classroom time, how can teachers even hope to accom­plish all of these goals? It would be nice if they were able to spend a day, or even a week of their algebra course on helping their students gain a deep understanding of the equals sign, but doing so would prevent getting to the lessons on quadratics at the end of the year. It is unlikely that school administrators and curriculum specialists would be amenable to this solution. Thus, teachers need clever ways of improving conceptual understand­ing without sacrificing attention to procedural skills. information related to that topic. Fortunately, some such instructional techniques have already been identified by researchers in the domains of cognitive development and cognitive science. One combination which may be especially helpful is the use of worked examples with self-explanation prompts. Worked examples are just what they sound like—examples of problems worked out for students to consider, rather than for them to solve themselves (Sweller & Cooper, 1985). Replacing many of the problems in a practice session with examples of how to solve a problem leads to the same amount of procedural learning in less time (Zhu & Simon, 1987), or increased learning and transfer of knowledge in the same amount of time (Paas, 1992). When studying worked examples, students should be prompted to explain them. Self-explanation facilitates students in integrating new information with what they already know,and forces the learner to make their new knowledge explicit (Chi, 2000). Typically, students are shown a correct example and asked to explain why the solution is correct. However, explaining a combination of correct and incorrect examples (i.e., explain why a common incorrect strategy is wrong) can be even more beneficial than explaining correct examples alone (Siegler, 2002). Well-designed incorrect examples anticipate common misconceptions that students may hold that would make solving a particular type of problem difficult. For exam­ple, students may have a strategy that is perfectly good for some problems (e.g., combine two terms by adding the numbers involved; 4x + 3x is 7x), but misconceptions about the nature of variable versus constant terms lead them to generalize this strategy to other problems where it is not appropriate (e.g., 4x + 3 is not 7x). When students study and explain incorrect examples, they directly confront these faulty concepts and are less likely to acquire or maintain incorrect ways of thinking about problems (Siegler, 2002; Ohlsson, 1996). If ihe goal is improving conceptual understanding without harming development of correct procedures, the worked example/self-explanation approach meets that criterion. Many studies have established the benefits for procedural knowledge of worked examples (e.g., Sweller & Cooper, 1985; Zhu & Simon, 1987), and the benefits for conceptual understanding of self-explanation (e.g., Chi, 2000). Further, recent studies have shown that comparison and explanation of multiple correct examples (Rittle-)ohnson & Star, 2009) or explanation of a com­bination of correct and Incorrect examples (Booth, Paré-Blagoev, & Koedinger, 2010) can lead to both improved con­ceptual and procedural knowledge. Despite their recommendation for instructional use by the U.S. Department of Education (Pashler et al., 2007), research-proven techniques (such as the worked example/ self-explanation approach), often fail to find their way into everyday classroom practices or textbooks. This may be because education stakeholders do not believe that they will be useful in real-world classrooms, or perhaps because they see them as incompatible with the setup of typical American class­rooms. Greater collaboration between teachers, education researchers, and textbook publishers may be necessary for true change to occur. In the meantime, the policy makers are right; It is crucial that teachers focus on improving students' conceptual under­standing, as misconceptions and impoverished concepts put our students at an alarming disadvantage. But perhaps the best way to help students build a strong concept of math begins with helping teachers build a strong concept of what conceptual knowledge really is. Such a foundation should enable them to devise, implement, and evaluate possible instructional techniques for building strong conceptual knowl­edge in the classroom. In A), the student correctly names the equals sign, but then indicates that its only meaning is to show you where the answer goes. In B), the student correctly endorses items /; and d, and correctly rejects a and e, but incorrectly endorses 4x - 3 as equivalent lo -4x + 3. In C), the student indicates that combining any two of the terms is an acceptable first step, even though Ihe terms given in a and b are not like terms (in both cases, one is a variable, and one is a constant). Baroody, A., & Ginsburg, H. (1983). The effects ol' instruction on children's undcr-sl.Hiding of Ihe equals sign. The Elementary School Journal, 84, 199-212. Booth, I.I.,*. Davenport, 1.1., tin preparation). The role of conceptual knowledge and encoding in algebraic equation-solving. Booth, |. L„ & Koedinger. K. R. (2008). Key misconceptions in algebraic problem solv­ing. In B. C. Love. K. McRac. & V. M. Sloutsky (Eds. ), Proceedings of the 30th Annual Cognitive Science Society (pp. 571-576). Austin, TX: Cognitive Science Society. Booth, |. L, Koedinger, K. R., & Siegler, R. S. (2007, August). The effect of prior conceptual knowledge on procedural performance and learning in algebra. Poster presented at the 29lh annual meeting of the Cognitive Science Society in Nashville. TN. Booth, |. I... Paré-Blagoev, E. |., & Koedinger. K. R. (2010, May). Transforming equa­tion-solving assignments to improve algebra learning: A collaboration with Ihe SERP-MSAN partnership. Paper presented at the annual meeting of the American Education Research Association, Denver. CO.
Brown, O. E. (1992). Using examples and analogies lo remedíale misconceptions in physics: Factors influencing conceptual change, tournai of Research in Science Teaching, 29, 17-34. Case, R.. & Okamolo, Y. (1996). The role of central conceptual structures in the devel­opment of children's numerical, literacy, and spatial thought. Monographs of the Society fur Research in Child Development (Serial No. 246). Chi, M. T. H. (1978). Knowledge structures and memory development. In R. S. Siegler (Ed. ), Children's thinking: What develops/ (pp. 73-96). Hillsdale. N|: Erlbaum. Chi, M. T. H. (2000). Self-explaining expository lexis: The dual processes of generating inferences and repairing mental models. In Gtaser, K. (Ed.) Advant es in Instructional Psychology (pp. 161 2 18). Mahwah, N|: Lawrence Erlbaum Associates. Chi, m. T. H., tcliovich, P. J., & Cilascr, R. (1981). Categorization and representation of physics problems by experts and novices. Cognitive Science, 5, !2i 152. Chi, M. T. H, Hutchinson. |. E., & Robin, A. E. (1989Í. How inferences about novel domain-rclaled concepts can l«? constrained by structured knowledge. Merrill-Palmer Quarterly, Is. 27 62. Ericsson, K. A., & Kinlsch, W. (1995). Long-term working memory. Psychological Review, KI2, 211 245. Caultney, J. E. (1995). The effect of prior knowledge and melacognition on the acqui­sition of a reading comprehension strategy, tournai of Experimental Child Psychology, 59, 112 163. Goblx), C, & Chi, M. (1986). How knowledge is structured and used by expert and novice children. Cognitive Development, I. 221 -237. Griffin. S., Case, R., & Siegler, R. (1994). Righlstart: Providing ihe central conceptual prerequisites for first formal learning of arithmetic to students at risk for school failure. In K. McGilly (Ed.) Classroom lessons: Integrating cognitive theory and i lassroom prat (/< e (pp. 25 49). Cambridge. MA: MIT/Bradford Books. Hiebert, )., & Wearne, D. (1996). Instruction, understanding, and skill in multidigit addilion and subtraction. Cognition and Instruction. 14, 251 -283. Kendeou. P., & van den Broek, P. (2005). The effet Is ot readers' misconceptions on comprehension of scientific text, tournai of Educational Psychology. 97, 235-245. Knuth. K. I.. Stephens, A. C, McNeil, N. M., & Alibali. M. W. (2006). Does under­standing Ihe equal sign matter? Evidence from solving equations, tournai for Research in Mathematics Education, 37, 297. Linn, M. C. & Eylon. B. (2006). Science education: Integrating views of learning and inslruction. In P. A. Alexander & P. H. Winne (fds.i. Handbook of educational psychology a"'1 éd., pp. 511-544). Mahwah, N|: Erlbaum. McNeil, N. M. (2008). Limitations to leaching children 2 -2 = 4: Typical arithmetic problems can hinder learning ot mathematical equivalence. Child Development. 79, 1524-1537. National Council of Teachers of Mathematics (NCTM) (2000). Pdnciphs and stan­dards for school mathematics. Reston, VA: Author. National Mathematics Advisory Panel i2008). Foundations for success: The final report of the National Mathematics Advisory Panel, v.s. Department of Education: Washington, DC. National Research Council (2001). Aclding it up: Helping children learn mathematics. I. Kilpatrick, |. O. Swafford, & B. Findell (Eds.). Washington DC: National Aca­demy Press. Ohlsson, S. (1996). Learning from error and the design of task environments. International tournai of Educational Research, 25(5). 419-448. Ornstein, P. A„ Merrill, K. A., Baker-Ward. I... Eurtado, E„ Gordon. B. N., & Principe, G. (1998). Children's knowledge, expectation, and long-term retention, Applied Cognitive Psychology, 12, 387-405. Paas, f. (1992). Training Strategies for attaining transfer of problem-solving skill in statis­tics: A cognitive-load approach, tournai of Educational Psychology, 1)4. 429-434. Pashler, H., Bain, P., Hoitge. H., Gracsscr, A., Koedinger, K., McDaniel. M., and Metcalfe. J. (2007). Organizing Instruction and Study lo Improve Student learning (NCER 2007-2004). Washington, DC: National Center for Education Research, Institute of Education Sciences, U.S. Department ol Education. Rittle-lohnson, B„ Siegler, R. S., & Alibali, M. W. (2001). Developing conceptual understanding and procedural skill in mathematics: An iterative process, tournai of Educational Psychology, 93, 346 362. Ritlle-)ohnson, B. & Star, |. 12009). Compared lo what? Ihe effects of differenl com­parisons on conceptual knowledge and procedural flexibility for equation solving. tournai of Educational Psychology. 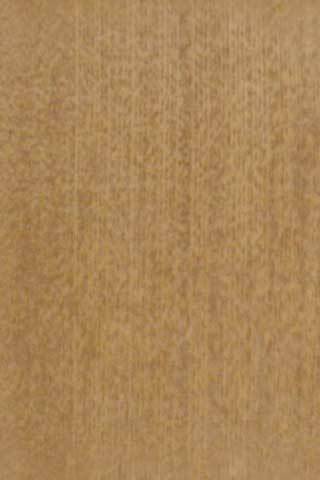 (0/(3), 529-544.
s.i! K IL, S Ginsburg, H. P. (2003). "You've got to carefully read ihe math sen­tence. . .": Classroom context and children's interpretations of Ihe equals sign. In A. |. Baroodv & A. Dowkcr (Eds. ), The development of arithmetic concepts and stiffs (pp. 161 187). Mahwah, NI: Erlbaum. Siegler. R. S. (2002). Mitogenetic studies of self-explanations. In N. Granoll & J. Parzialc (Eds. ), Microdevelopment: Transition processes in development and learning (pp. 31 58). New York: Cambridge University. Star, |. R. (2005). Reconceplualizing procedural knowledge, tournai for Research in Mathematics Education, 3b, 404-111. Sweller, |., & Cooper, C. A. (1985). The use of worked examples as a substitute ior problem solving in learning algebra. Cognition and Instruction, 2. 59 89. Warren. E. (2001). The role of arithmetic structure in Ihe transition from arilhmetic to algebra. Mathematics Education Research tournai, IS, 122-137. Zhu, X., & Simon, H. A. (1987). Learning mathematics from examples and by doing. Cognition and Instruction, 4, 137-166. Julie L. Booth, Ph.D., is an Assistant Professor in the depart­ment of Psychological Studies in Education at Temple University. She received her Ph.D. in Psychology from Carnegie Mellon University, and was a post-doctoral fellow at the Pittsburgh Science of Learning Center. She currently serves as Principal Investigator or Co-Principal Investigator on three IES-funded projects, including West Ed's National Center for Cognition and Mathematics Instruction. Site copyright © 1998-2011 Susan Jones, Resource Room. All Rights Reserved.